So it’s well into fall…which means PUMPKIN EVERYTHING. This is great, but the canned stuff cannot compare to the taste of freshly roasted pumpkin. It’s intimidating to see a whole, hard little squash and know how to handle it, but I’ve compiled a guide of my favorite tips to make the process as easy as possible! Get ready to get your pumpkin on. 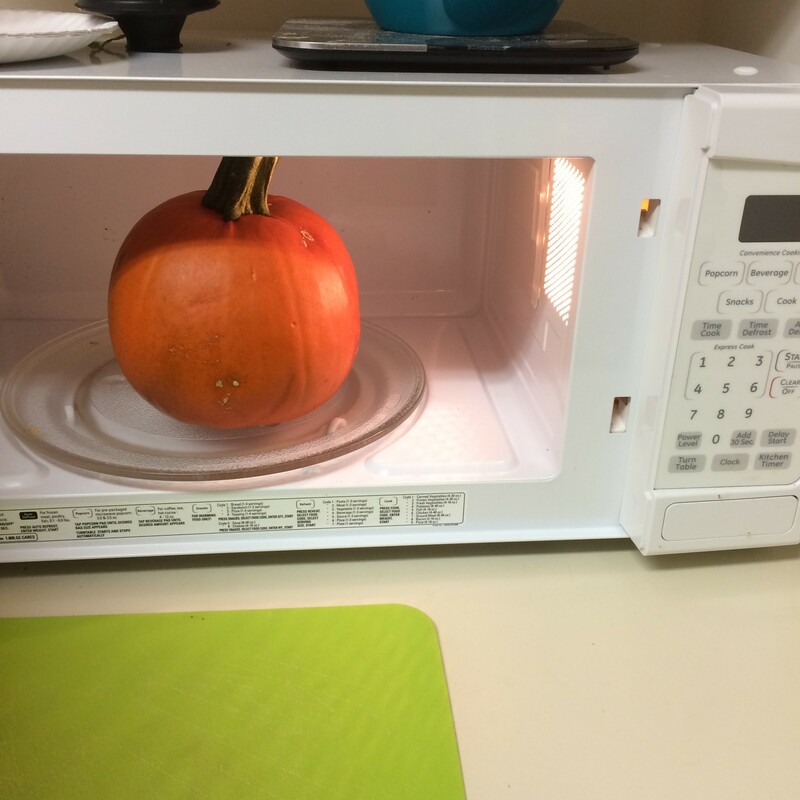 Step 1: Microwave your little pumpkin for about 6 min and if it’s still hard keep microwaving for one minute intervals. (I usually microwave the biggest squash for 9 minutes!) Now is a great time to set the oven to 375 degrees Fahrenheit (or 400 if you like it crispier). 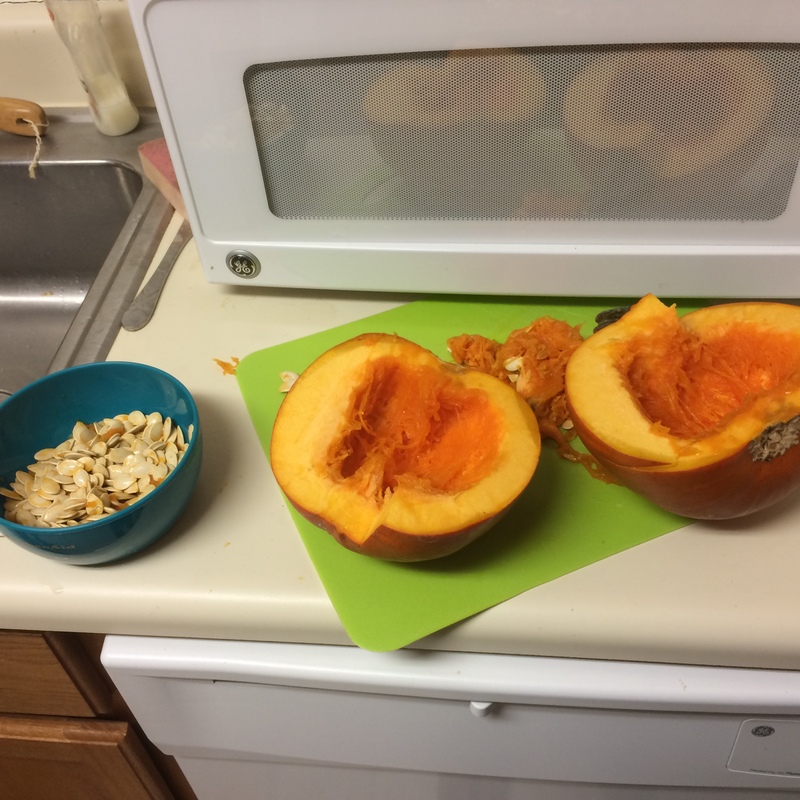 Step 2: Cut your (now soft) pumpkin in half and scoop out the seeds. I usually use both a fork and spoon to tackle all the string-y bits and seeds! Place the seeds in a bowl to roast later. 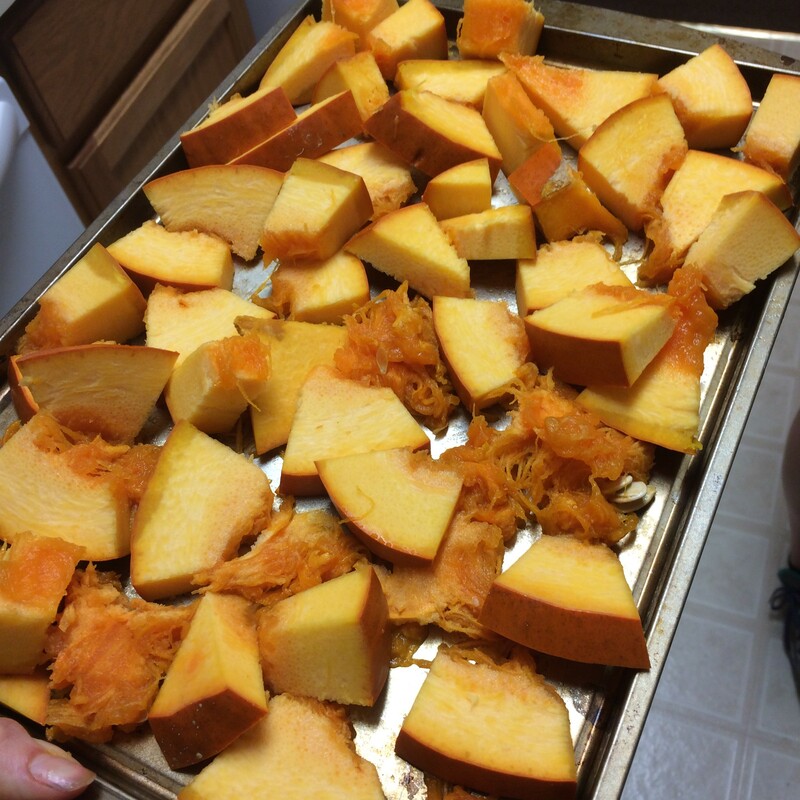 Step 3: Chop your pumpkin into 1 square inch chunks and place on a greased cookie sheet. 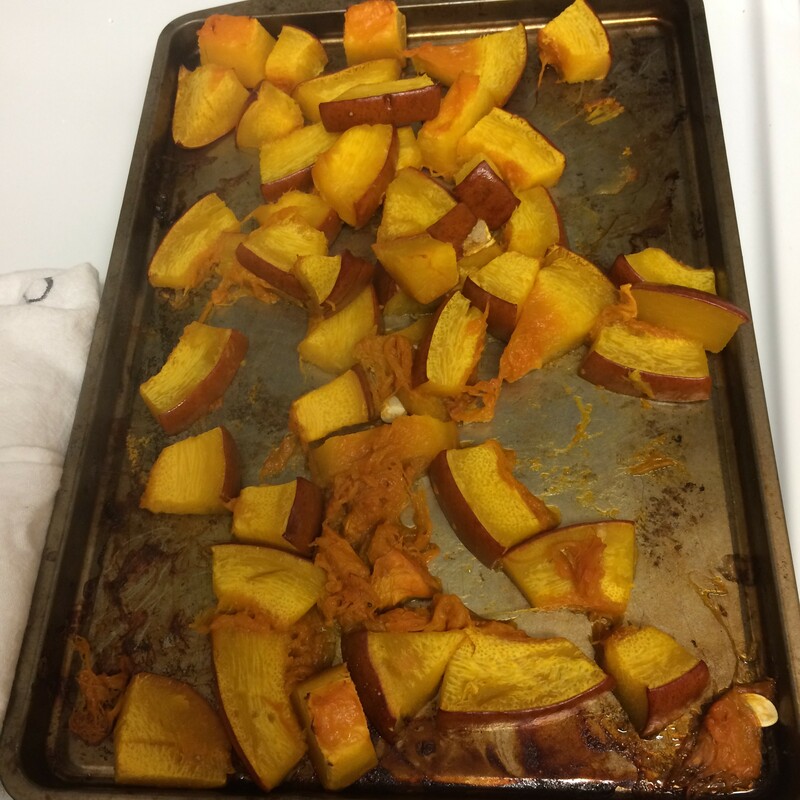 Step 4: Roast squash at 375 for 25-30 minutes or until soft and golden brown. 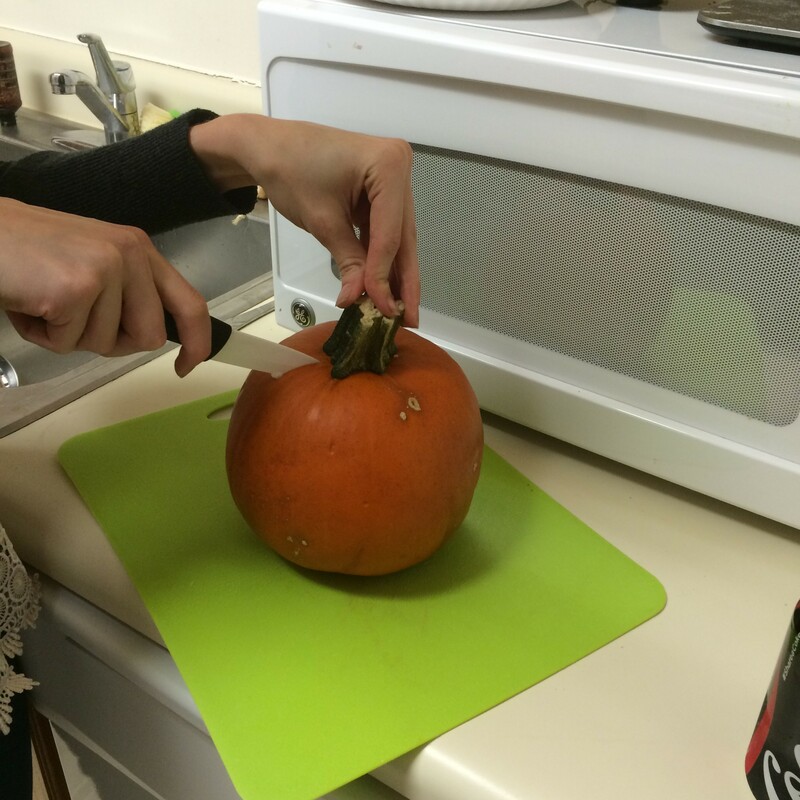 Step 5: To get the most bang for your pumpkin buck, definitely don’t forget the seeds! I recommend you wash the seeds with water, let them dry, then lay them on a greased cookie sheet and roast at 425 for about 7 minutes or until they are golden-brown and crisp. Step 6: Enjoy your roasted pumpkin on its own as a side, or feel free to puree it and use it in any recipe that calls for pumpkin! The seeds are great as a quick snack or tossed in a salad. There’s a lot of buzz around sugar. It’s easy to jump on the “sugar free” train, but should you? I have been interested in sugar’s villainization for a few years now, but I have finally found the evidence that has convinced me of sugar’s dangers. I am a proponent of making dietary choices based how your body responds to foods and how you feel, but sugar’s addictive nature can be deceiving. The same brain reward pathway that lights up in addiction to drugs lights up in response to sugar. This parallel is disturbing and shows that those “sugar cravings” is not due to weakness of any kind–it’s a function of biology. Additionally, sugar is pro-inflammatory in the body. It increases inflammation in the body; this inflammation contributes to a spectrum of diseases: autoimmune disorders, allergies, obesity, depression, diabetes, heart disease, and numerous others. The evidence is powerful, and I personally feel better when limiting sugar in my diet. Luckily, there are some great products out there that make this easy. 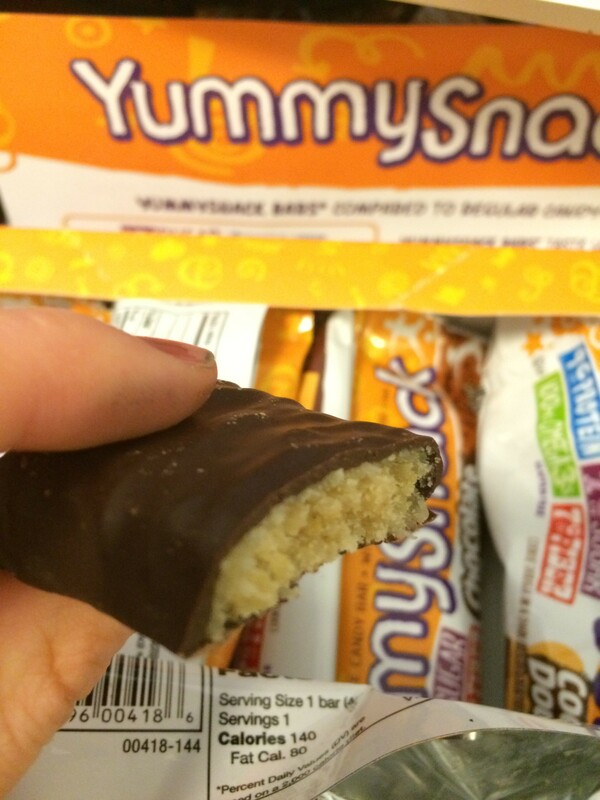 I recently was lucky enough to sample Yummy Snack Bars, a healthy candy alternative, and I fell in love! These bars are way lower in sugar and incorporate healthy resistant fiber that helps feed healthy gut bacteria. Additionally, these bars include Omega-3 fatty acids, which are anti-inflammatory (opposed to Omega-6 fatty acids that are pro-inflammatory and common in processed foods). My personal favorite was the peppermint chocolate bar–it tasted even better than a York Peppermint Patty! A close second would have to be the chocolate bar flavor. It had a great hint of coconut and hardly tasted like a “healthy” alternative. If you can’t go without your candy bars, definitely give these a try! 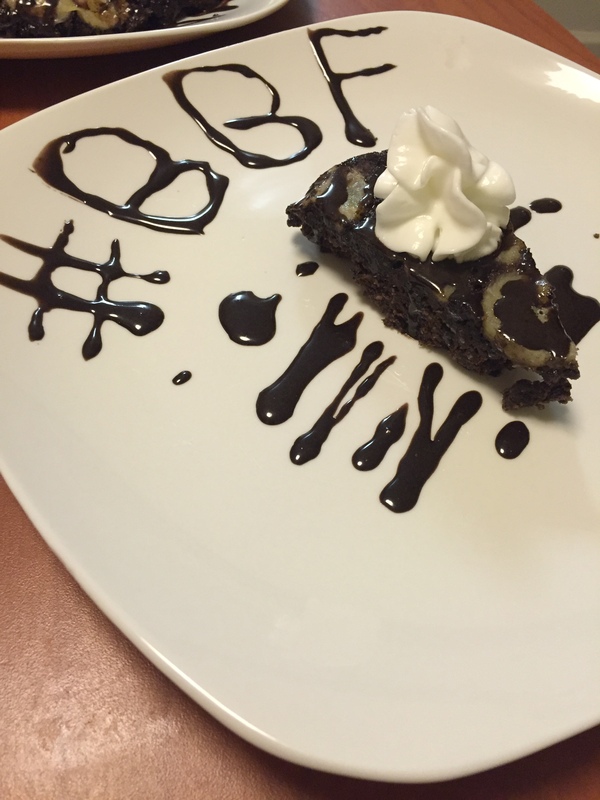 Here is my #BetterBodyBlends entry for Week 4! 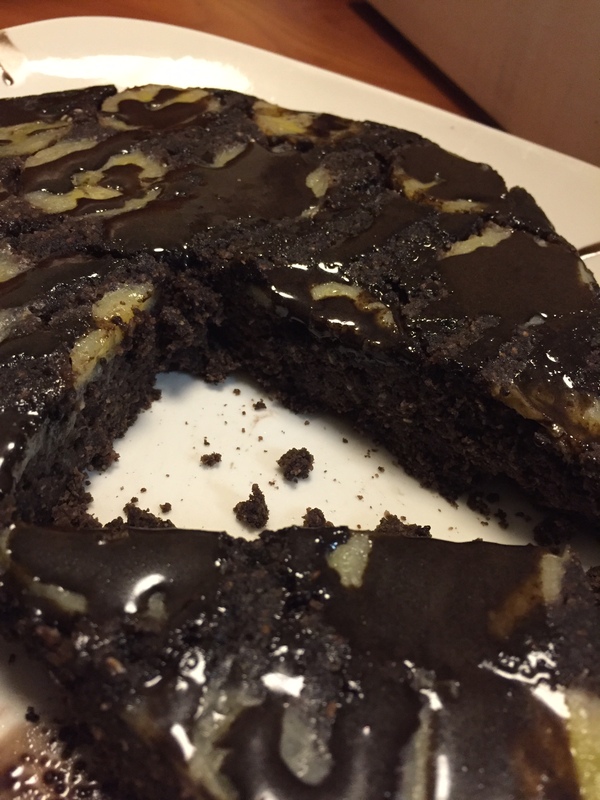 It has been tried and tested and is a fan favorite out of my previous recipes. 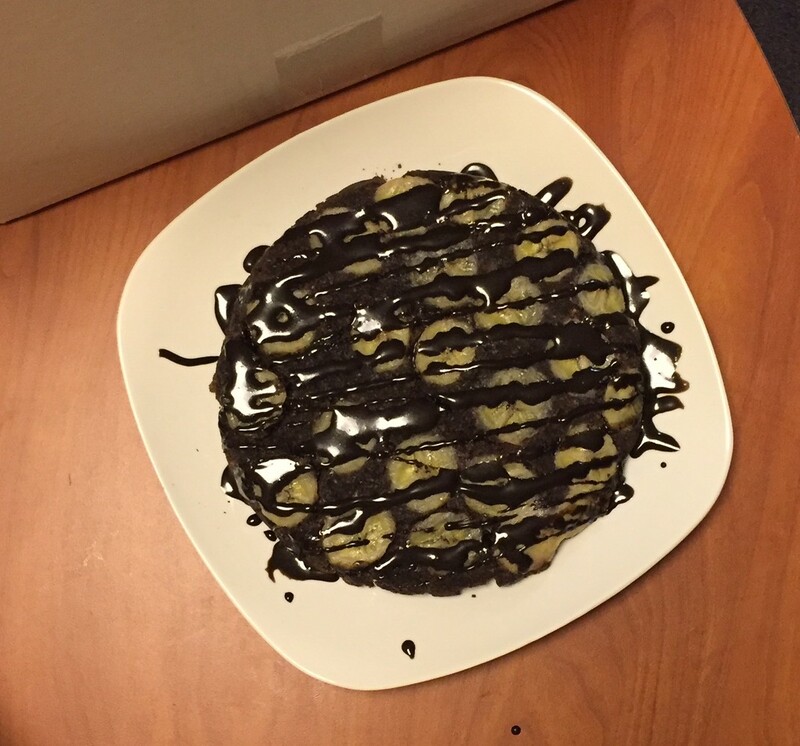 Nothing beats chocolate, especially not chocolate banana! 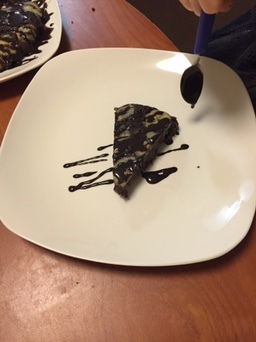 I used a 3:1 ratio of coconut flour to almond flour for the perfect texture. Combine 2 tbsp coconut oil (melted) and 3 tbsp sweetener of choice in the bottom of a greased circular 9in pan. Combine all cake ingredients and mix well in a large bowl. Spread cake batter carefully over the banana, coconut oil, sweetener mix. Bake for about 25 minutes or until firm to the touch.